Laminated truck flooring is commonly used in truck/trailer/container. 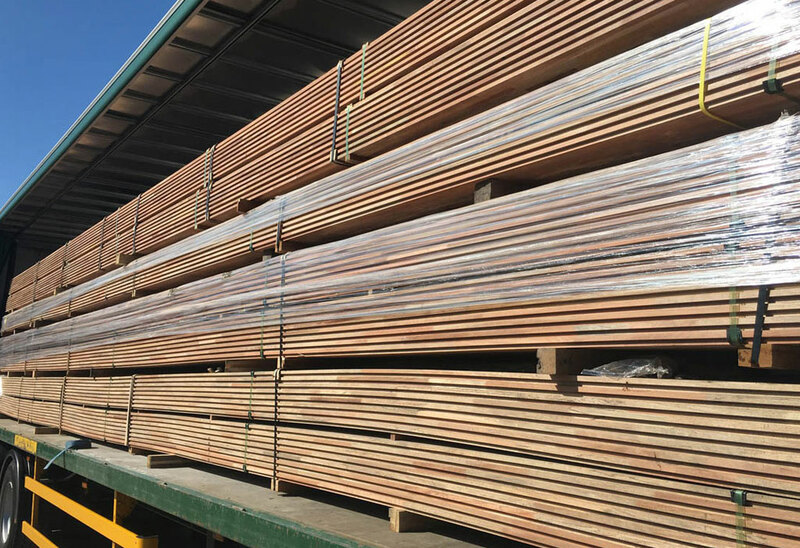 This is produced using mixed red tropical hardwoods from Southern Asia and is widely recognised across the trailer manufacturing market. It is laminated from strips of narrow, short materials and can be either hook jointed of finger jointed on the ends of the individual lamellas. The maximum length of LTF is 39ft since this is the longest length that will fit in a standard 40ft ocean freight container.